I decided to wait until now to get back in the swing of things for the blog. I will try to keep it on a schedule from now on. Scientists have found 100 new plants, 28 new fish, 18 new reptiles, 14 new amphibians, 2 new mammals and 1 new bird species in the Mekong River region of Southeast Asia. In this potpourri of newly discovered species is a fanged frog that eats birds. This region has produced 1000 new species since 1997. Still Exploring: This discovery is not to be confused with the giant rats, bats, and fanged frogs discovered in a volcanic crater of Papua New Guinea. The main company in Iceland’s fin whaling industry will export a purported 1,500 tonnes of whalemeat to Japan. Legal Mumbo Jumbo: Iceland and Norway are the only two countries in the world that now authorise commercial whaling. Japan officially allows whaling for scientific purposes, but the meat is then sold to restaurants and supermarkets. Photic sneeze reflex is a genetic autosomal dominant trait, which causes sneezing when exposed suddenly to bright light, like the sun. The condition affects 18-35% of the human population. Simple Statistics: Okay, this may not be a news story, but I have the this trait, so I figured it would be cool to post about it. Just as a little experiment, when you comment, write if you think that you have this trait. We will then see if this percentage is correct…or maybe I’m just a mutant. 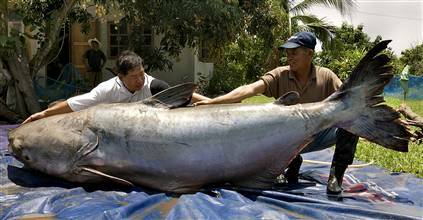 The Mekong giant catfish, or Pangasianodon gigas, is a species native to the Mekong basin in Southeast Asia. Endemic to the lower half of the Mekong river, this catfish is in danger of extinction due to overfishing, river damming, and water pollution. The fish is the largest freshwater fish in the world, reaching 3 meters in length and 200 kilos! The Messier objects are a set of astronomical objects first listed by French astronomer Charles Messier in 1771). In the mid-1700’s discovering comets was the only way one could make it big as an astronomer. Messier was a comet hunter frustrated by objects which resembled comets in the telescope, but were not, in fact, comets. He compiled his list for these “annoying” objects. The first edition covered the first 45 objects (abbreviated M1 to M45). It has now climbed to 110 objects, 103 of which were discovered by Messier. What makes the Messier Objects such a famous list is that they are all visible with binoculars or small telescopes on dark, clear nights. This makes them popular viewing objects for amateur astronomers. The study of these objects by astronomers has led, and continues to lead, to important, incredible discoveries such as the life cycles of stars, the reality of galaxies as separate ‘island universes,’ and the possible age of the universe. 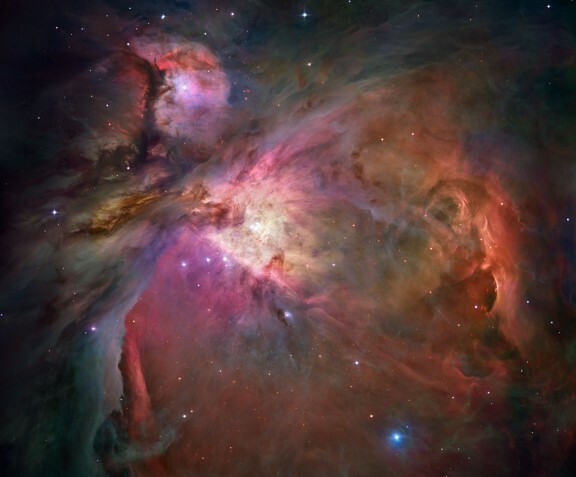 Some of the more famous objects are the Andromeda Galaxy (M31), Orion Nebula (M42), Crab Nebula (M1), and Pleiades (M45). Humans have always looked toward the heavens, towards the stars. Why do we crane our necks to view the ephemeral twinkling of the billions upon billions of balls of gas floating on the froth of the cosmic sea? What draws us to them? A few days ago, I had the pleasure of viewing many of the above objects at the Kopernik Center. The observatory boasts three telescopes, a 6″ Astrophysics Refractor, 14″ Celestron Schmidt–Cassegrain, and a 20″ Ritchey-Chretientelescope. The 20″ is the largest public telescope in the Northeast. I saw the cloudy Dumbell Nebula, the swirling of the Andromeda Galaxy, the dull band of the Milky Way, the shadow of Io as it revolved around banded planet of Jupiter, the brilliantly coloured Pleiades stars, the M2 globular cluster, and the amazing Orion Nebula (not to mention the International Space Station). I was amazed at the amount of objects one could see. It was always human nature to look up toward the heights we may some day reach. But as of late, we have been repressed into looking down at our feet. We never see lights beyond street lights, which hide the cosmos. Perhaps we are hiding from the truth that we are rather insignificant. If I may be so bold, I strongly urge everyone to go outside on a clear night and look up. Your ego may be hurt, but your mind and soul will rejoice. Scientists have found a gene which can be activated to cure colour blindness. The scientists performed the gene therapy on colour blind monkeys and were able to bring red and green back into their vision. Colour Blind: There are several forms of colour blindness. The most common form is inherited red/green colour blindness, caused by a mutation on the X chromosome. The European Planck telescope has beamed back its first images of space. It is currently surveying for traces of radiation that was dispersed shortly after the Big Bang. Oh Say Do You See: Planck always points away from the Sun and rotates once per minute. As it rotates, it gathers precise thermal readings from an area of the universe. These strips are then pieced together. A tufted puffin was sighted at the Oare Marshes near Faversham, England. Birdwatchers are now migrating there to get a look at this rare Pacific seabird. For the Non-Birders: I know I get many birders coming through here, so I know they can explain this better than I, but…a lifer is the first ever time that a birder sees a species of bird. The Markhor or Capra falconeri is a goat-antelope found in the Karakoram region of the Himalaya. Himalayas. They can be found as high as 3,500 meters above sea level. 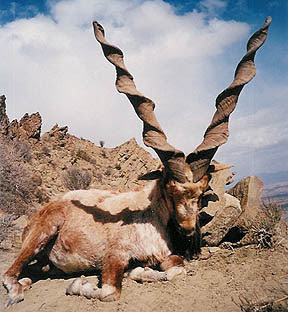 Males will fight terribly on the high mountain crags by wrestling with their horns until one falls. They can weigh up to 200 lbs. Unfortunately, they are classified as being endangered in the wild. …or lack thereof. There are some scientific facts which we hold to be absolutely immutable. In fact, they are often called scientific laws. For example: the Law of Gravity, the Heisenberg Uncertainty, the Laws of Thermodynamics, the Theory of Evolution. That’s how it is. End of story. No ifs ands or buts. It was proved using the Scientific Method, remember? You know, good ol’ observe, hypothesize, experiment, conclude, and repeat. Right? I know, I know. We learned all of that in high school, and most of it is dead wrong. Let’s pretend we are performing an experiment. We see emission lines of the hydrogen atom and make a hypothesis that these refer to energy levels of electrons as they move around the atom. After some experimentation, our hypothesis seems to hold up. The calculations match up with our original beliefs, so we publish a paper regarding our conclusions and everybody thinks that this is the way atoms are oriented: a positive core with negative electrons orbiting the center in fixed orbits like the solar system. This is a valid conclusion based on our data, but unfortunately, ultimately incorrect (sorry Bohr). So what went wrong? Time for a little logic lesson. Suppose a natural phenomenon P is observed and based on this, you make hypothesis H which you will use to predict another phenomenon (Q) (H->Q). You perform experiments after this. If “not Q” is observed then your hypothesis H is disproved -(H->Q)=(-Q->-H). That is the law of contraposition in logic-speak. However, if Q is actually observed, one cannot be truly sure if H is the correct explanation. This is not a logical rule. For example, what if we missed the additional condition K which was present at both our observation and experimentation states? This is considered a limitation of applicability. Or, there could be a hypothesis Y which also explains P and Q. So, in reality, there is nothing that is scientifically proven. All of the laws and rules we learned are simply well tested hypotheses which are robust (are true under a wide variety of assumptions). Now that I just completely blew your minds, I am going to stress why this should be taught more often. We were all taught that these rules and laws in middle/high school. As a result, we only see the world through these laws. Well, most of us anyway. A few rebels saw past the visors and pioneered brilliant new research. Take Einstein, Heisenberg, Darwin, Galileo, or almost any scientist who made a quantum leap and made a ground breaking new discovery. Their ideas will have been mocked, ridiculed, and decried in their time and later found to be well-tested (I can’t use true, now can I?). We are teaching youngsters never to question what they are told. Just imagine medieval scholars: “What’s that Jimmyus of Axelbrook? You think that certain pairs of physical properties, like position and momentum, cannot both be known to arbitrary precision. Well, that’s just dumb. We all know that they can be measured. I can measure how fast this ball is going and where it is whenever I want!” Perhaps that is a bit transparent for this day in age, but it is essentially still ongoing. Should kids learn these laws and theories. Most definitely. These ideas are well tested and help us understand many natural phenomena under certain conditions. That being said, we need to teach students, not indoctrinate them. Science is not a fixed field of study, and that is what makes it so fun and interesting. New advances which turn the current ideas on their heads happen almost daily on some level. We don’t need to teach them to think out of the box. There is no box! The world’s smallest parrot, the buff-faced pygmy parrot of Papua New Guinea, has been filmed in the wild for the first time by the BBC. The parrot is about the size of an adult human thumb. Size Comparison: At 3.4 in, the buff-faced pygmy parrot is smaller than many insects in the jungle. Scientists have linked the retrovirus: Xenotropic murine leukemia virus, or XMRV for short, to aggressive prostate cancer. Sad Cancer Fact (is there any other kind? ): 27,000 men in the US die from prostate cancer annually. Apparently contagious yawning is not only found in humans. Chimps who were show cartoons of yawning chimps also yawned soon afterwards. What’s It (Yawn) For? : The researchers at Emery University hope to use this data to discover/understand empathy in chimpanzees. Try finding the tree gecko above. You might have a hard time doing so as a result of his amazing camouflage. The Indopacific tree gecko, or Hemiphyllodactylus typus, is found throughout tropical Asia. It is largely nocturnal, hunting insects and small spiders during the night. Sorry about the late post. Recently, I have been involved in a number of debates regarding the ethics of biotechnology, so, in this week’s installment I will outline what biotechnology is, and then iterate my current viewpoints. Please discuss this in the comments, as I am very open to any and all reflections. Also note that I am not in a biotech degree program specifically. My bioengineering program deals with all complex systems, be they ecological, sociological, or, like in this case, genetic. As a result, I feel that I have a different perspective on this topic: one of an environmentalist/ecologist, and one of a scientist very much interested in this promising field of research. Biotechnology is technology based on biology, agriculture, food science, and medicine. Modern use of the term usually refers to genetic engineering as well as cell- and tissue culture technologies. However, the concept encompasses a wider range and history of procedures for modifying living things according to human purposes, going back to domestication of animals, cultivation of plants and “improvements” to these through breeding programs that employ artificial selection and hybridization. By comparison to biotechnology, bioengineering is generally thought of as a related field with its emphasis more on mechanical and higher systems approaches to interfacing with and exploiting living things. United Nations Convention on Biological Diversity defines biotechnology as: “Any technological application that uses biological systems, dead organisms, or derivatives thereof, to make or modify products or processes for specific use.” Biotechnology draws on the pure biological sciences (genetics, microbiology, animal cell culture, molecular biology, biochemistry,embryology, cell biology) and in many instances is also dependent on knowledge and methods from outside the sphere of biology (chemical engineering, bioprocess engineering, information technology, biorobotics). Conversely, modern biological sciences (including even concepts such as molecular ecology) are intimately entwined and dependent on the methods developed through biotechnology and what is commonly thought of as the life sciences industry. –Wilfred Batten Lewis Trotter (1872-1939) English surgeon. There is so much wrong with the world at this point in time, disease, environmental destruction, agricultural problems etc. Many of these ills could be combated with the new field of biotechnology. Many people feel that biotechnology will only cause more problems. I agree. Technology certainly has caused much problems in the world, but one would be deceitful if they claimed that it also did not alleviate many of the ills of the world. I understand that this new field carries potential risk, but there is also the potential for huge reward. In medicine, biotechnology has the potential to cure/alleviate diseases like Hemophilia, Parkinson’s, and Huntington’s. Without technology and cutting-edge research we would still have a world decimated by diseases such as small pox, malaria, TB, and yellow fever. Thanks to new fields of research, like biotechnology, we have managed to combat disease and in some cases, largely eradicate it. The environment is currently under siege, mainly because of deforestation for farmland and urban sprawl. Biotechnology can be used to combat many of the pressures we have placed on the environment. One of the main reasons for deforestation is the fact that we produce a smaller amount of food proportionate to the land used for farming. So, to keep people fed, farmers need to spread out over larger and larger tracts of land that contain better soil and fewer natural obstacles to crop growth (drought, flooding, etc). Biotechnology has shown that it can make crops more efficient growers, more nutritious, and easier to grow in nutrient deficient soil. Using biotechnology, growers will only need to plant one or perhaps two acres – instead of five acres or more – to ensure one acre’s worth of harvest. This obviously means far fewer agricultural inputs such as fuel, labour, water and fertiliser.The chytrid fungus is decimating the world’s amphibian population. Scientists predict that the fungus, combined with deforestation, will cause a mass extinction of frogs. But, biotechnology offers the possibility to halt this extinction. Erosion of topsoil can be cut by more than 70 per cent when farmers use no-till techniques to remove weeds and crop residues before planting. Biotechnology can help control weeds to reduce the need for tilling. Many of today’s fungicides, herbicides, insecticides and other pesticides are better, safer and more environmentally sensitive than older versions. Even so, they sometimes enter the air, soil and groundwater when they blow or wash off plants. Biotechnology can achieve many of the goals for which pesticides were designed, often more efficiently without the runoff of chemicals into the surrounding environment. I will use a metaphor to conclude this point. Just because a new technology has the possibility to be used in a way that is harmful does not mean that the technology itself is harmful. It depends on the user’s intentions, which cannot be controlled. For example, a hammer is a tool which can be used to kill and destroy, yet it is a tool which can also be used to build and create. It is not the hammer’s fault that a person decided to use it to commit murder; it is just a tool. Does that mean that we should stop producing hammers? No. I can understand why biotechnology can be scary. It is an industry, which scares me too. Big corporations have monopolized this new technology. In doing so, they have opened a Pandora’s Box of ethical questions which they do not bother answering. They patent genes, hush up failures and mistakes, and push forward with dangerous products that are not thoroughly tested. Large companies do this because they are only interested in the short term monetary gain. This leads to a bastardization of the true aim of this new field of research:working toward a better world for everything and everyone on it. The challenges are many, but the rewards are even greater.I think that we need to keep a VERY close eye on this new field, but we do not have any excuse not to research it further. With regulations and truthful, ethical scientific inquiry, this technology has shown that it can prevent problems and solve the ones with which we currently live.